The Grand Orient of France has voted at its annual communication in Lyon not to allow the initiation or affiliation of women into its lodges. Last year at their annual meeting, the subject arose as several of its constituent lodges initiated women, which resulted in those lodges being suspended until this year's vote could take place. 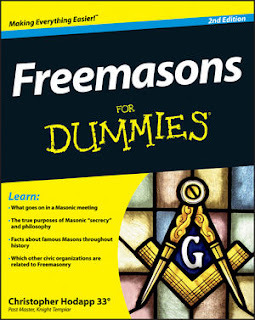 Asked about initiation of women, delegates of the 1,200 lodges of the largest French Masonic [obedience] "replied no [by a vote of] 56%," Gerard Contremoulin, responsible for the communication of the Grand Orient, told AFP. Meeting in closed session, they also voted "58.7%" against affiliation to the GODF by women initiated within the Women's Grand Lodge of France or one of the four denominations of mixed [co-ed] French Masonic movements, he added. The previous Grand Master, Jean-Michel Quillardet, a staunch supporter of coeducation, said he was "saddened" by the vote of the convention. "It is an undeniable decline, contrary to the evolution of society," he told AFP. The vote took place "without debate" since the convention last year had referred the matter to the lodges, said the current Grand Master Pierre Lambicchi, reelected Thursday night for (another) year and was unwilling to express his personal position on the initiation of women. The Grand Orient of France is the largest Masonic obedience in that country. 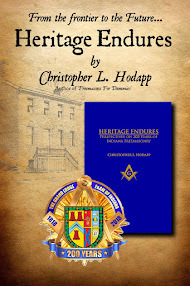 It is unrecognized and considered irregular by the mainstream and Prince Hall grand lodges in the U.S. and the United Grand Lodge of England. Its structure is considerably more laissez-faire than US/Anglo-Saxon derived grand lodges, and lodges are given great freedom to set their own rules. A few of their lodges have allowed women Masons to visit for more than 30 years, but five lodges last year began to illegally initiate six women members. This resulted in the temporary suspension of those lodges and their 169 members, until the issue was decided this year at Lyon. The vote has not yet been taken on whether to arrest the charters of those five lodges. The Grande Loge Nationale Française is the obedience recognized as regular by US, Canadian and UK grand lodges.